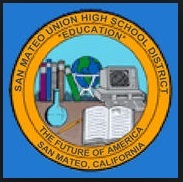 The GATE Parents Group works with the San Mateo Union High School District to provide a high-quality Gifted and Talented Education Program. We are parents of GATE identified students from the six comprehensive high schools in the district. FUND innovative activities at the teacher, school and district level. Encourage and sponsor EDUCATION for students, parents and professional staff. Provide ENRICHMENT courses to students in the District with priority given to GATE identified students. ADVOCATE for the GATE Program and the students and parents of the program. Promote COMMUNICATION with the SMUHSD and among students, parents and professional staff. We are members of the California Association for the Gifted. Early Registration is Open for Summer Classes! Please go to our class buttons at the top menu bar for more info & to register. - College Essay Strategies: GATE-only registration from 4/16-4/22. All students registration from 4/23-5/27. Evening session: Jun 3-5, Mon-Weds; Jun 3: 5pm-7pm, Jun 4-5: 5pm-6pm and two one-on-one 45 min private follow-up sessions. - SAT Bootcamp (targeting 8/24/19 SAT test): Registration closes 7/22. Morning session: Jul 29-Aug 2, Mon-Fri, 8:30am-12:00pm. Interested in learning more about the GATE Parents group? Join us a for a board meeting. Click on the gray arrow for a map to the Career Center.